The Petals of a Tea Rose. The healing properties of Tea Rose Petals is known since ancient times. The petals contain many nutrients, such as vitamin C, vitamins B, carotene, calcium. According to scientists, fragrant petals contain almost the whole periodic system. Rose petals have a beneficial effect on the hematopoietic system due to high iron content. The calorie content of rose petals is 5 calories per 100 grams. You can use them in diet. There are essential oils and extracts of roses, which stimulate the immune and nervous systems, improve condition of the skin and are beneficial to the health of the internal organs. 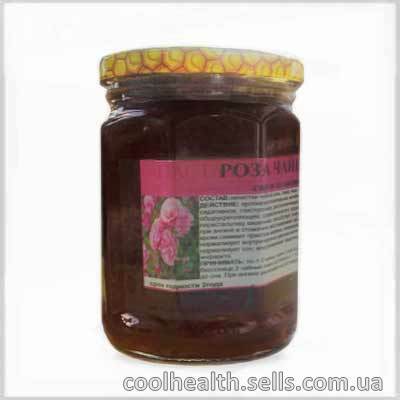 The Syrup of rose petals contribute to the healing of the mucous membranes and improve the digestive tract. Rose helps to relieve headaches, to remove the dizzy or an attack of weakness. The Petals of a Tea Rose used effect. Used effect of rose petals invaluable to women's health. Rose petals used for making a relaxing bath, massage. Rose eases premenstrual syndrome and regulates menstruation, relieves postpartum depression. The Rose essential oil is different antidepressant properties. The scent of roses configures the romantic mood, perfect for a night of love. The ornaments are not only a tasty delicacy but also a real drug. The Syrup is recommended for using in sore throat, colds. The rich composition of the petals has a beneficial effect on kidney function, General metabolism. Despite the large amount of sugar, the syrup not only harm the figure, but also contribute to weight loss. It also struggles with irritability, depression, insomnia. Infusions of rose petals have long been recommended to use in cardiovascular diseases. The petals of this wonderful flower strengthen the heart muscle, stop spasms of cerebral vessels. The Syrup Tea Rose composition. The Syrup Tea Rose properties. The Syrup Tea Rose application. The Syrup is an effective tool in the treatment of diseases such as: angina and stomatitis; helps to relieve migraines and dizziness. Dosage: 1-2 teaspoon 3 times a day before meals, dissolving it in your mouth. With insomnia - 2 tsp dissolved in 1 cup of warm water and drink 1 hour before bedtime. In the treatment of angina is to dissolve in the mouth every 3 hours.